The Managements of the Rivers State College of Health Science and Technology (RSCHST) has released the list of courses available in the institution and requirements for each of them. 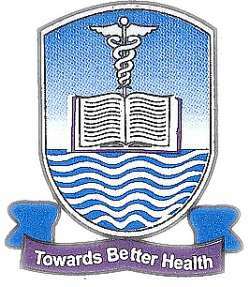 RIVERS STATE COLLEGE OF HEALTH SCIENCE AND TECHNOLOGY COURSES AND REQUIREMENTS. Four (4) credits and two passes in GCE/WAEC/NECO examination. The Credits must be in any of the following subjects: English Language, Biology/Health Science, Geography, Physics, Chemistry, Agricultural Science, Technical Drawing and any other subject. A pass in Mathematics is an added advantage. Holders of Environmental Health Assistant certificate with two years post qualification experience may be admitted at 200 level of Environmental Health Technician programme provided they fulfill the entry requirement above. Applicants for the programme must possess five (5) credit passes in GCE, SSCE, NECO or Grade 11, must include English Language, Biology and three science subjects including (Chemistry, Physics, Health Science, Integrated Science, General Science, Nutrition). For the certificate in Health Education, the prospective applicant must possess five (5) passes in GCE, SSCE, NECO, Grade 11, NABTECH, which must include English Language, Biology and other three subjects including (Chemistry, Health Science, Nutrition, Physics, General Science or Integrated Science). Holders of Environmental Health Assistant (EHA), Junior Community Health Extension Worker, (JCHEW), Medical Laboratory Assistants (MLA), Dental Surgery Assistants (DSA), Certificate Health Education (CHE) and Pharmacy Assistants Certificate (PAC), who have the basic requirements for Diploma, and one year post qualification experience, can be admitted into 200 level of the HPE programme. Five (5) Credit passes in WASC/NECO/SSCE or GCE. Subjects include: English Language, Mathematics, Biology/Health Sciences, Chemistry and Physics at not more than two sittings. Must be free from in controlled diabetes, and hypertension, epilepsy, active respiratory infection (Tuberculosis). Must have current immunization for Hepatitis B.C, Tetanus, Meningitis. Should have a verifiable residential address. Five (5) O’ level credits in WASC/GCE or NECO which must include English Language, Mathematics and three (3) others, one subject chosen from each of the subject combination: (Government/History, Christian Religious/Islamic Knowledge), (Health Science/Biology/Nutrition), (Economics/Commerce /Geography) at not more than 2 sittings. Four (4) credits in WASC/GCE or NECO which must include Biology, Chemistry/Physics, English Language and Mathematics. Five (5) Credit passes in WASC/NECO/SSCE or GCE. Subjets include: English Language, Mathematics, Biology/Health Sciences, Chemistry and Physics at not more than two sittings. Four (4) O’ Level Credits in WASC/GCE/SSCE in Mathematics, English Language Economics/Government and Biology at not more than two (2) sittings. Entry Requirement : Five (5) credits in WASC/GCE or NECO which must include: Biology, Chemistry, English Language, Physics and Mathematics at not more than two sittings and must be obtained within a space of 10 years prior to enrollment. Entry Requirement: Holders of Medical Laboratory Assistant Certificate in addition to the above requirements. Entry Requirement: Five (5) O’ level credits in WASC/GCE/SSCE, which must include English Language, Chemistry, Biology, Physics and a pass in Mathematics. In addition, candidates must possess any of the under listed: Nigerian Registered Nurse CertificateNigerian Registered Midwifery CertificatePsychiatric Nurse Certificate (or Accident and Emergency Certificate etc (for males) plus one year post qualification experience. Entry Requirement: Five (5) credits in WASC/GCE/SSCE/NECO which must include: English Language, Mathematics, Chemistry, Physics and Biology/Health Science at not more than two sittings. Entry Requirement: Five (5) O’ Level Credits in WASC/GCE/SSCE in English Language, Mathematics, Biology, Physics and Chemistry.